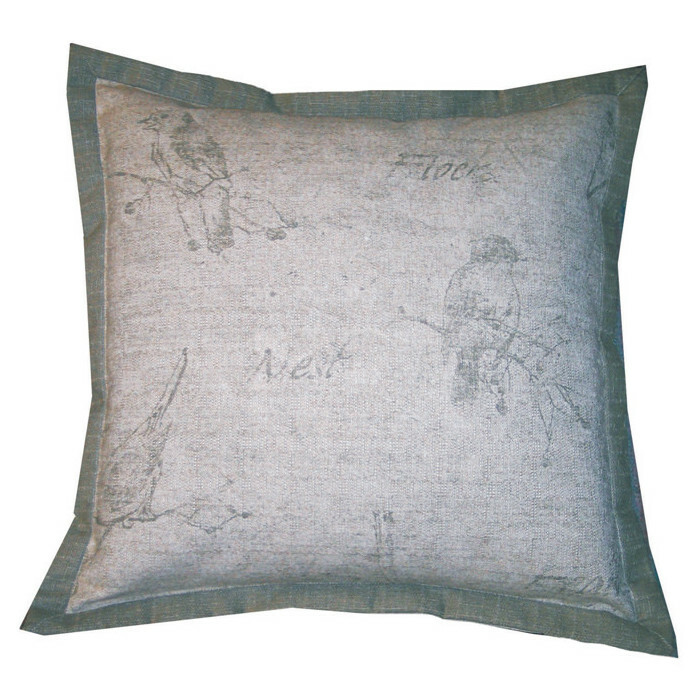 20×20 Charcoal Bird Sketch on textured linen, narrow flange, limited quantity. 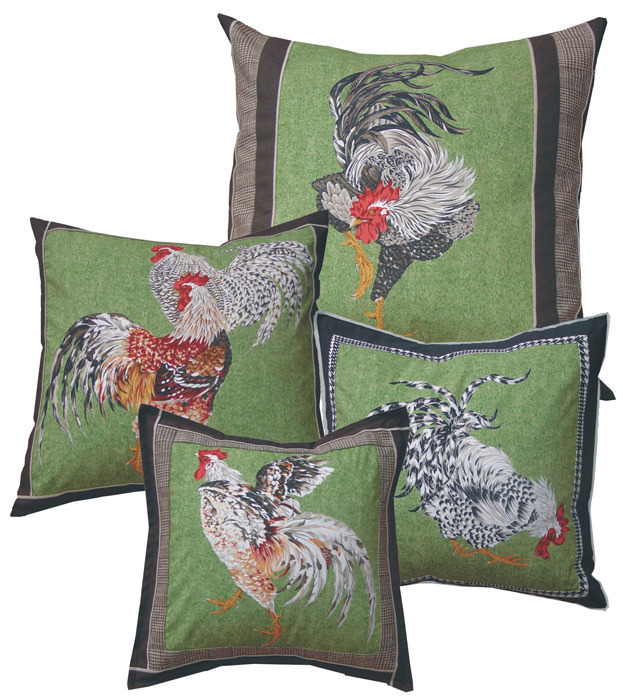 Assortment of Rooster pillows, different trims and different sizes. 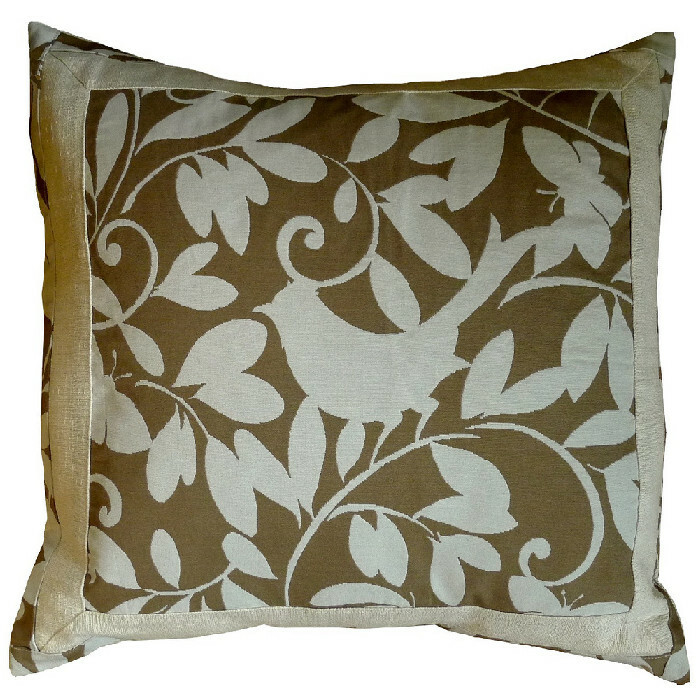 20×20 Birdsong with birch inside miter. 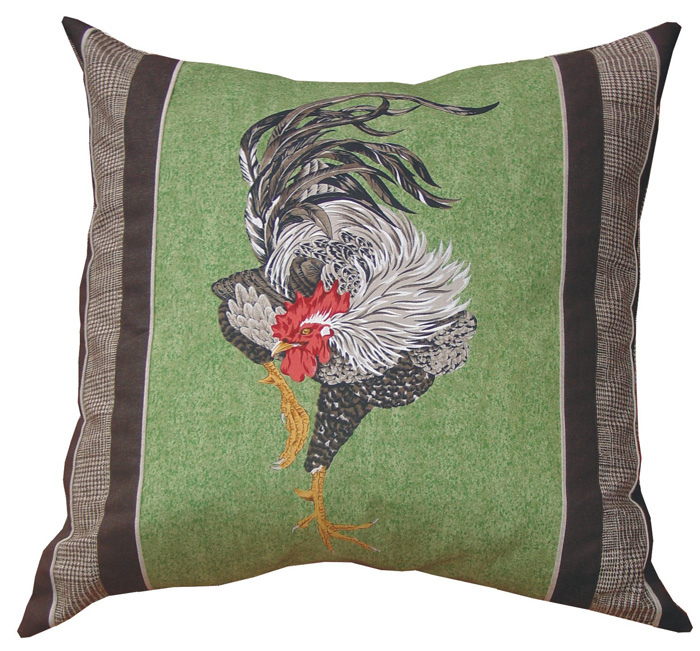 20×20 rooster toile pillows bordered in ticking and Roost-1 also has a ticking ruffle. 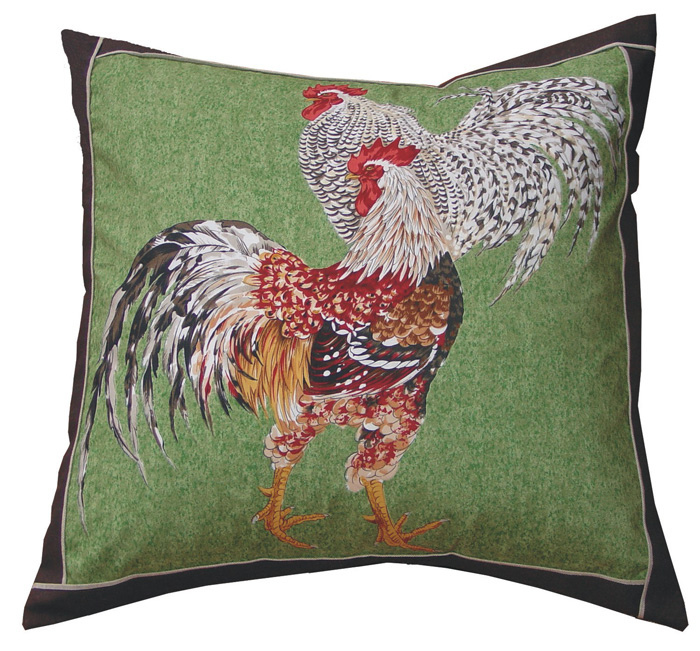 20×20 Chanticlair Rooster with red border, black/white rooster, limited edition. 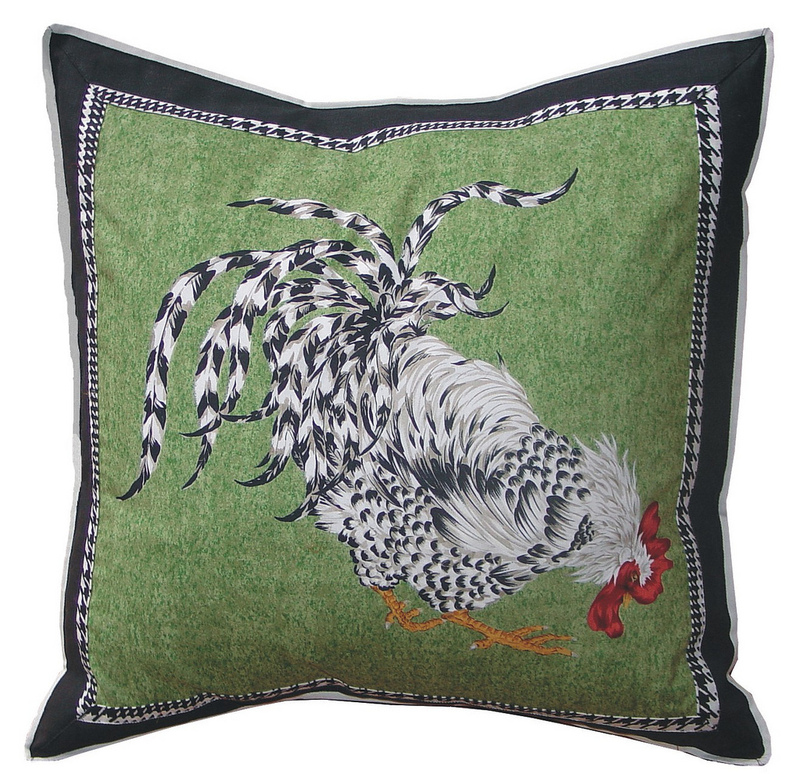 20×20 Chanticlair Rooster with black border, black/white rooster, limited edition. 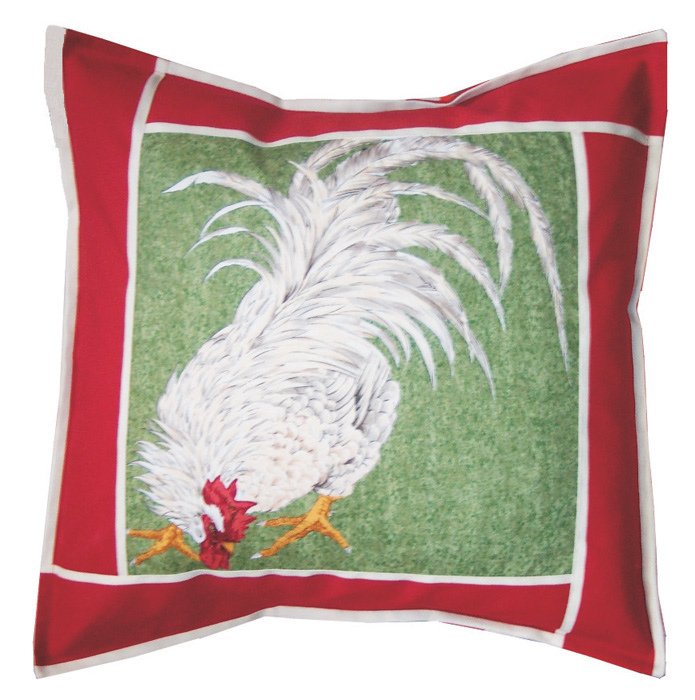 20×20 Chanticlair Rooster with red border, white rooster, limited edition. 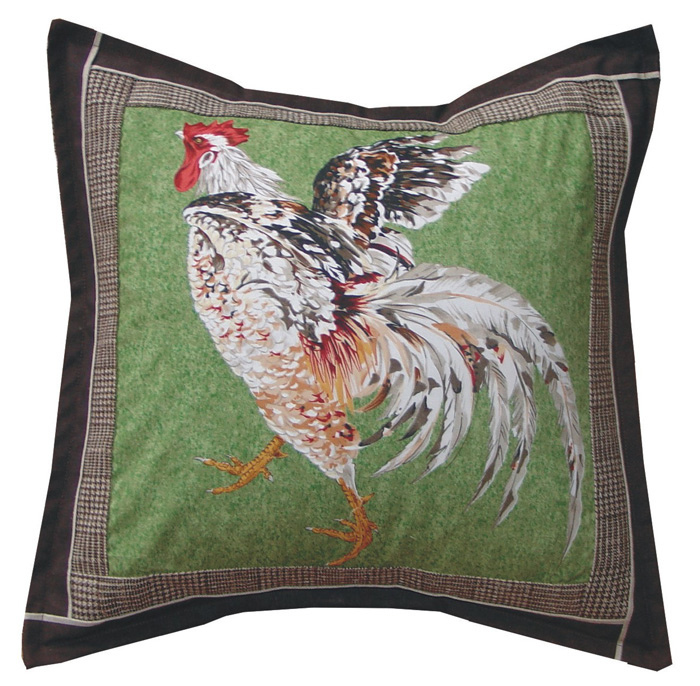 22×22 Chanteclair 2 rooster pillow with brown border, limited edition. 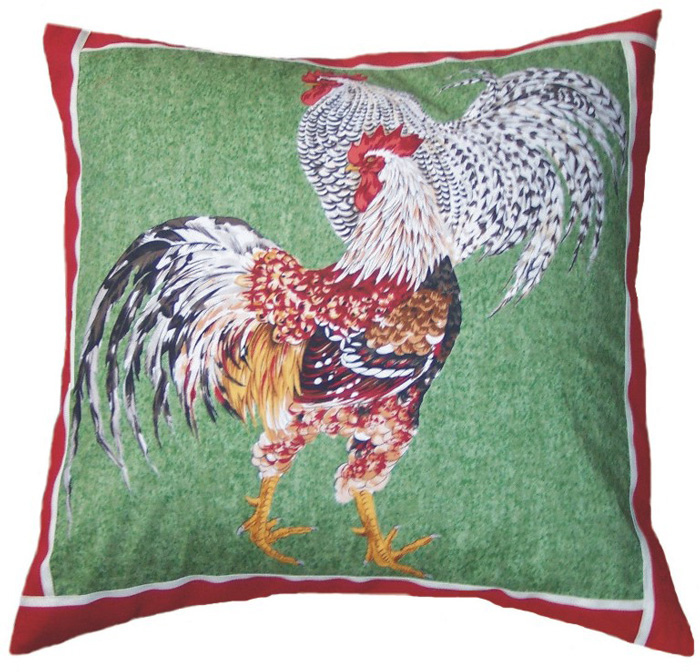 22×22 Chanticlair 2 Rooster with red border, limited edition. 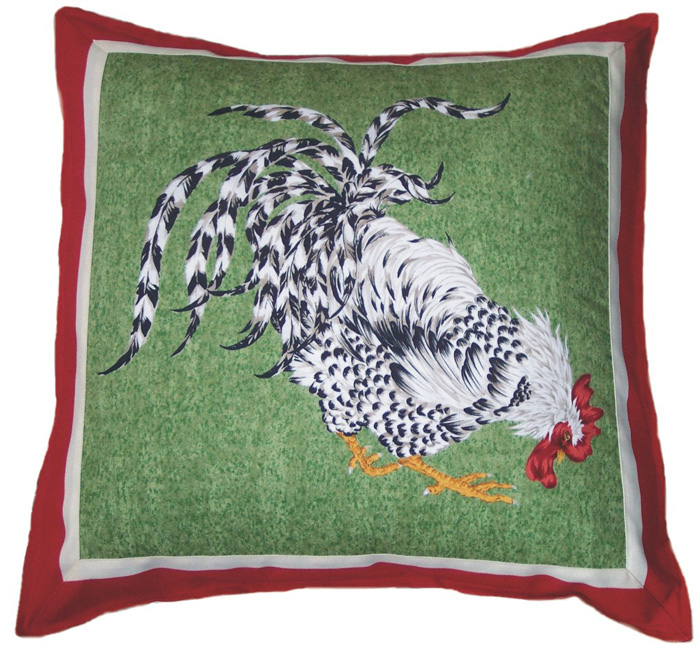 26×26 Chanteclair rooster sham with brown solid and plaid trim, limited edition. 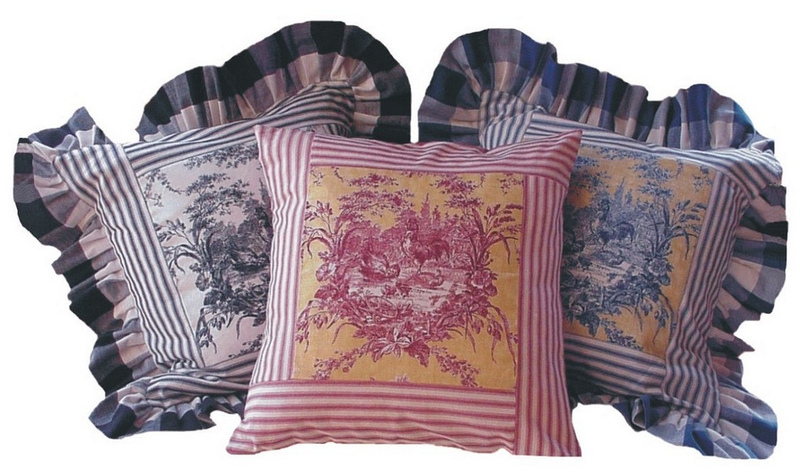 Chanteclair Group Assortment of Rooster pillows, different trims and different sizes.